Marketing automation software replaces the manual and laborious tasks of sending one-off emails and separating your marketing campaigns across multiple platforms. With marketing automation tools, companies can integrate their email, digital advertising, social media, and lead generation campaigns, while also measuring the impact of the entire customer journey. According to VentureBeat, companies using marketing automation software report an 80 percent increase in leads and a 77 percent increase in conversions. Are you focused on lead management and want to improve how you generate and nurture leads? Are you faced with the challenge of transforming strangers into leads and leads into customers? 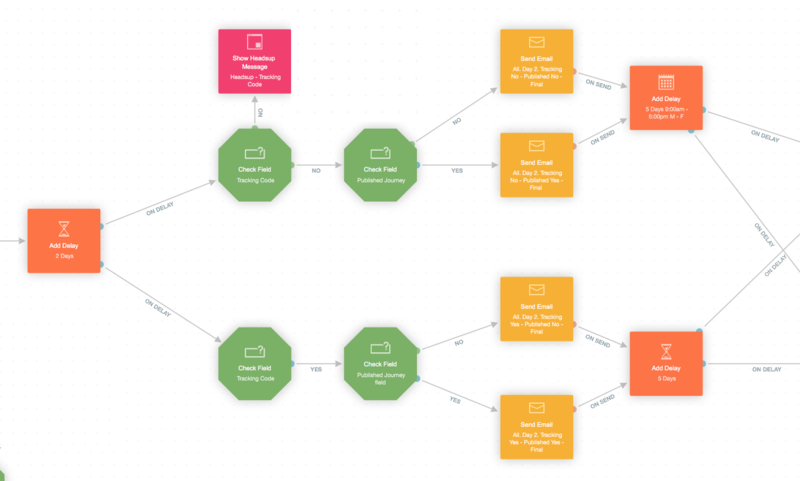 Do you want an easier way to manage the entire campaign process and workflow? Do you want to build personalized email drip campaigns or do you want to browse through a list of pre-designed email templates? Do you want to analyze every journey and compare the performance of each message? Do you need to segment your lists into leads and customers? What channels am I targeting? Do you target your customers across multiple channels like Facebook, Google, SMS, and email? Are your customers spread far and wide and do they consume content in both the digital and physical world? Do you need to deliver a range of competitive content strategies? What is my lead management strategy? Do you have an existing Customer Relationship Management (CRM) software and need a way to integrate it with a marketing automation platform? Do you have a collection of leads and customers scattered across spreadsheets, event lists or sales marketing tools? Do you need to integrate with Salesforce, Pipedrive or other CRM software? Do you need to personalize your messages and keep your marketing on-brand? Do you need a way to build customer journeys and collaborate across teams? The best performing marketing automation software is the one that solves your business needs. It’s the one that inspires creativity and helps you increase the capabilities of your team. Revolutionize your marketing and try Autopilot for free today.